Medo is a medium sized female born around 1976. The majority of her working days were spent in logging camps. 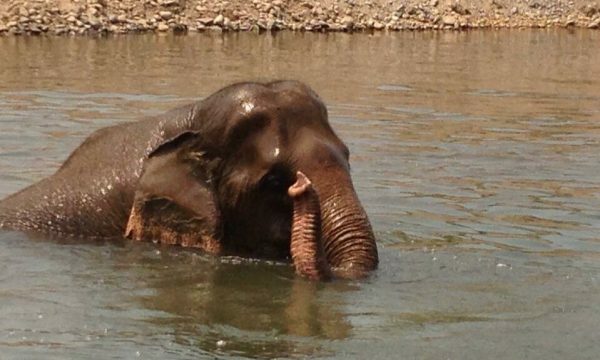 She was rescued from a very remote area near the Thai/Burma border, and arrived at Elephant Nature Park in June 2006. She has a Karen language name, a reference to her sad physical condition that has resulted from horrible abuse. Medo was put to work at the tender age of just eight years old. She hauled logs in the mountains spanning the border region for 4 years, until she was seriously injured when a heavy log fell on her, breaking her rear left ankle. Unable to work, 12 year old Medo’s contract with the logging company was cancelled. The bone never properly set, and even to this day her original injury is evident. 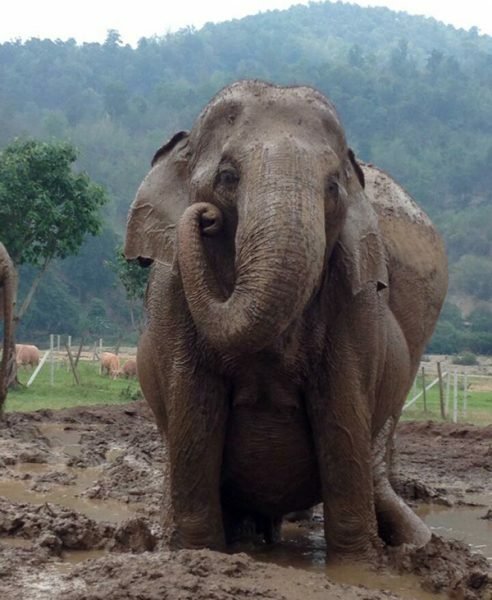 Medo was brought from camp to camp, but no one was interested in employing a lame elephant. To get some kind of income out of her, Medo would be made to breed. They found the largest and strongest bull they could, a big tusker. Medo was chained by four legs. The huge bull was in musth though, and rather than simply breeding with her, he savagely attacked her, pinning her on the ground with his tusk. 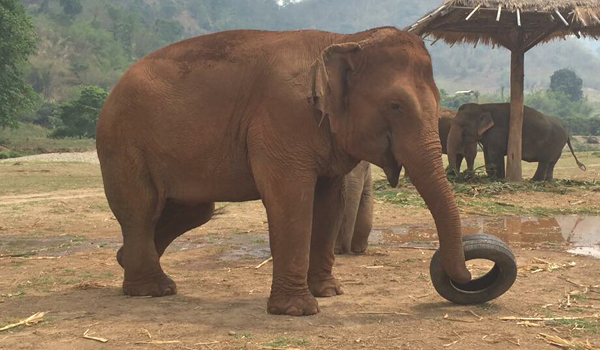 She screamed in pain but no one would risk coming close to the musth bull to help her. She tried and tried but could not stand. She was left lying down, bleeding and writhing alone in agony. Vets determined that her backbone had become dislocated. These injuries were very serious, and Medo fought for her life for 3 full years. For the next 15 years Medo spent her life in isolated and tedious toil. The owners, shamed of her condition, kept her hidden. No camps would accept an elephant so marred by a lifetime of abuse. Medo spent the days before her rescue at Mae Sariang region, dragging the small logs that she could, in an isolated village in the mountains. Seeing Medo’s unnatural gate always has an impact, and there was no question that this working elephant needed rescuing. 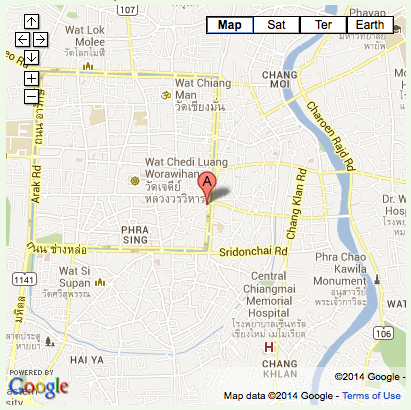 Lek immediately set the terms for transferring Medo. Word went out for funding, and Bert of Serengeti Foundation immediately responded with funds needed to rescue Medo. Physically getting Medo from the remote village to the park was not easy, but she finally arrived in June 2006. 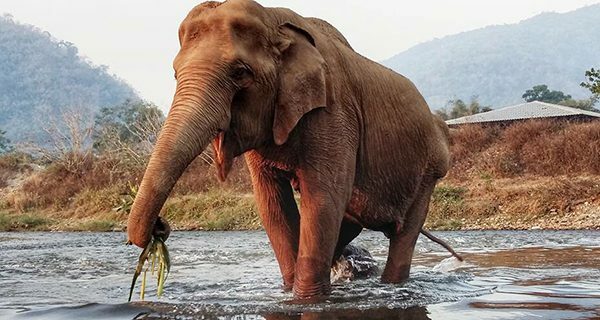 On arrival, Medo saw other elephants again for the first time in 15 years. Unsure of herself, she had a slow adjustment period, but finally a strong bond of friendship formed with Sao Yai and Mae Lanna. 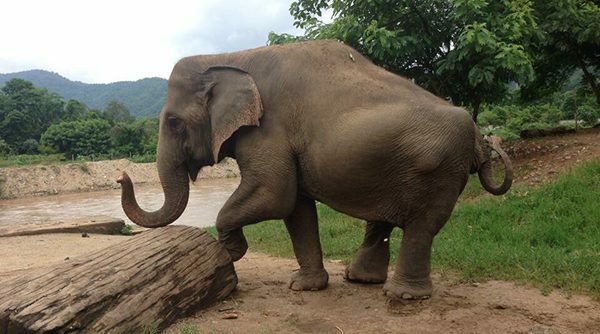 Medo’s abscess from the logging work was treated, and she is taking time wading in the river to help with her back. 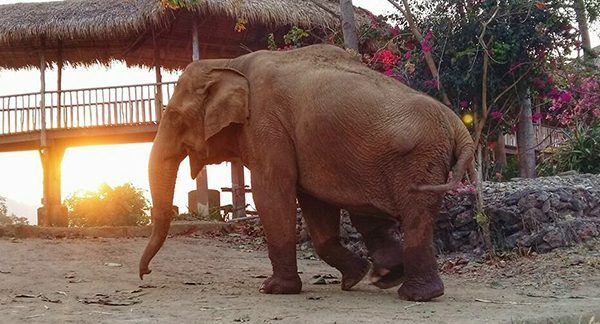 Medo’s major physical injuries will likely never heal, but with hope she can still become a well-adjusted and social elephant.